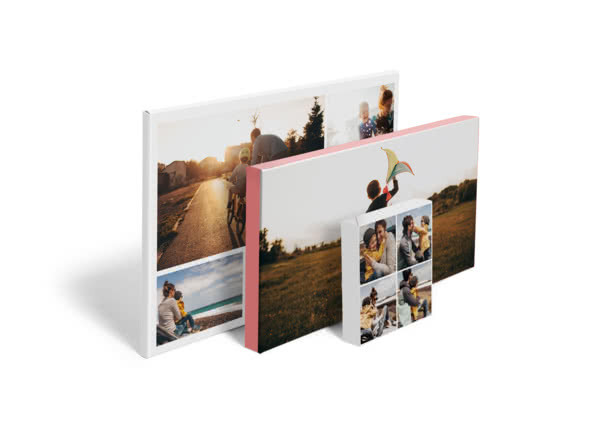 Discovering the first blossoms of the season, getting caught in an unexpected shower, that first trip to the beach when it’s definitely still too cold… Print your favourite spring moments to bring life to your home décor. 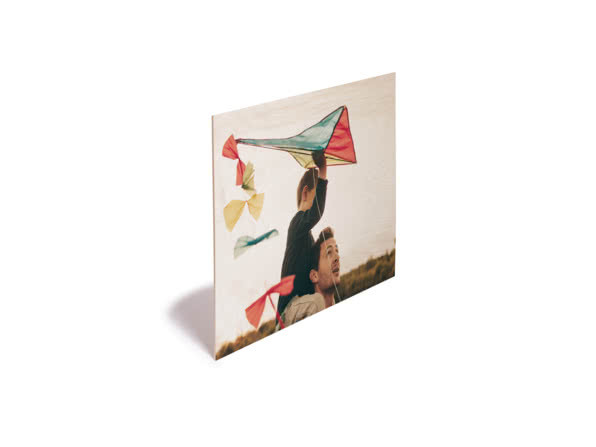 Display your pics the Scandi way with a natural wood photo print. Change your photo collage in a flash with a set of photo magnets and frame. Supersize one of your favourite snaps with a poster print. Put up all of your favourite shots in the spotlight with a supersized collage poster. 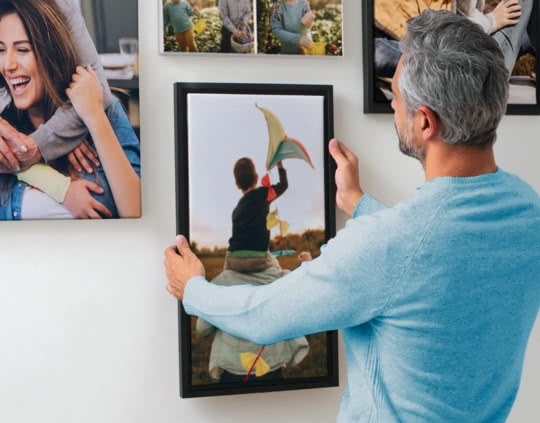 Opt for a framed supersized poster print and turn your best photos into wall art. 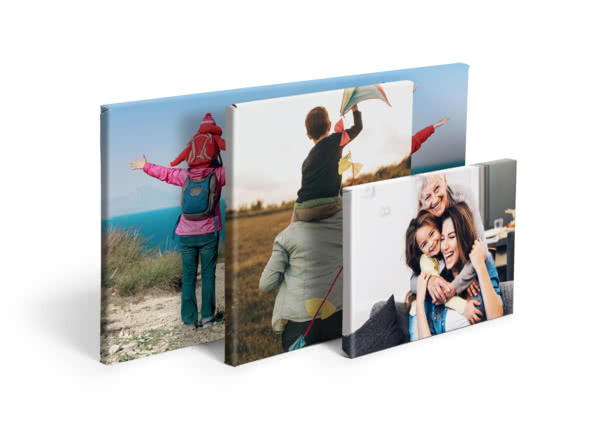 Big print, minimalist mount – let your photo shine with an elegant frameless design. Make all of your special moments shine with a mounted frameless design. Get your photos printed directly onto aluminium for a modern alternative to a traditional print. Give your photos some serious wow-factor with an acrylic print that makes colours truly pop. Add depth to your creation with a 48 mm deep frame and make your snap take centre stage. Choose a Canvas, Framed Poster – whichever you like most. Then, add your photos and edit them in our studio. With a choice of delivery options available, your Wall Art can be with you in no time. Is a hanging kit included with my Wall Art? A hanging kit is attached or included with all Wall Art, except for our Posters. For Canvas Prints, the kit is included with our Framed Canvas and with any of our thicker Canvas Prints (just click the ‘Classic’ option). Prefer our thinner, ‘Lite’, option? You can always add the hanging kit for less than the cost of a coffee. Can I frame my Wall Art? A frame is included with the Framed Canvas Print, Framed Poster Print, Box Framed Print and Timeless Framed Print. You can also add a frame to the Mounted Art Print for a small extra cost. How do I crop my picture on my Wall Art? Your photos will automatically adjust to the Wall Art size and format you choose. Let’s say you upload a square photo to a square print – your photo will fit perfectly. If you upload a rectangular photo to the same square print, your image will be cropped automatically but you can always adjust the positioning or way its cropped. Can I add text to my Wall Art? You can add text on our Retro Canvas and Mounted Art Print, plus on our Collage Poster and Collage Mounted Poster if you’re on desktop. How many pictures can I have on my Wall Art? Usually, just one. You can add more to our Collage Canvas, Collage Poster and Collage Mounted Poster. How do I take care of my Wall Art? Don't pop your Wall Art outside, over a radiator or anywhere humid. Changes in temperature and humidity can damage the adhesive on the hanging kit and also affect the photographic paper it’s printed on. Avoid hanging your Wall Art in direct sunlight or the colours might fade. Remember to give it a dust from time to time too. A quick wipe with a soft dry cloth is all you need to keep your Wall Art looking fantastic for years to come. The photo printing pros. We’ll help you turn your favourite pics into thoughtful personalised gifts – whether it’s a classic mounted print for Grandad, a modern Acrylic Print for your techy brother or a pic of her four-legged best-friend on a supersized poster for your youngest. Share your best moments with the world (not just on Instagram!). Look back on your favourite moments as you plan for the year ahead.